The hubs and I spent this past May long weekend out at our family cabin, and while we were there I had a couple of knitted firsts. Upon finishing up another pair of socks (post to follow), I decided it was about time that I learned how to ball my own yarn. 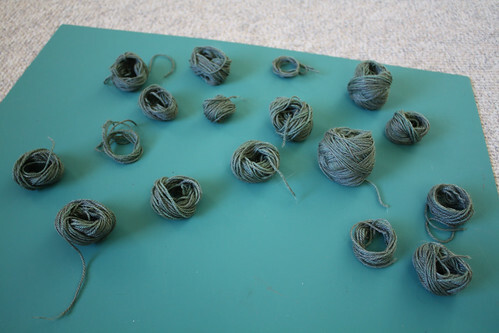 I followed an excellent YouTube tutorial (found here) on how to use a piece of a paper towel roll to create a center pull ball of yarn. The first roll turned out fantastic and I was really happy with how quick it was for me to to roll up myself. 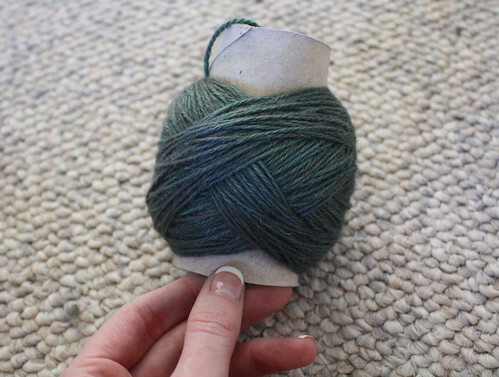 The second skein I tried wasn't quite as glamorous though, and ended up in 17 balls! On our drive out to the cabin we drove past a grizzly bear, a black bear, 2 elk and two separate herds of big horn sheep (27 in total!). One of the herds that we passed actually stopped traffic on the highway and the sheep wove in and out of the stopped cars. It was a truly incredible drive through the Rockies and I'm not sure if we could ever top it again, but I know we won't forget it anytime soon. 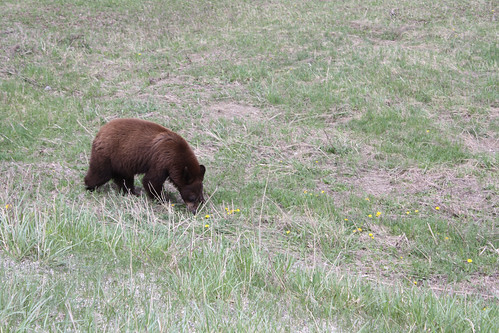 On our drive home we spotted a brown phased black bear cub scavenging for some supper just off the road. I couldn't believe how close this bear got to our car, this photo was taken only a few yards away (from the passenger side of our car with a cracked window of course!). Spring has officially sprung if the bears are out of their dens!